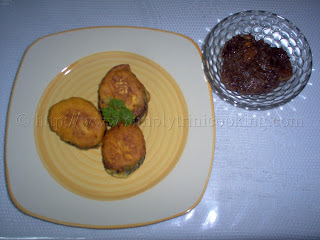 The most attractive vegetable to me is the eggplant (we Trini’s call it baigan or melongene). Its smooth, shiny, purple skin makes it a favorite vegetable to plant in your backyard. If cared properly for, the plant can last for more than a year, yielding baigans regularly. Nowadays, with the price of food skyrocketing, I myself have begun planting baigan and other vegetables in my backyard to save on my food bill. Testing for ripeness is easily done by simply pressing the skin with your thumb; if it springs back it is ripe. However, baigan is a very perishable vegetable. It discolours quickly when it is cut and it wrinkles if it is stored too long in the fridge. It also has a unique taste and texture. Baigan (eggplant) has a natural bitter taste. To reduce some of its bitterness you can sweat the eggplant by salting it after cutting it into the desired size and shape. 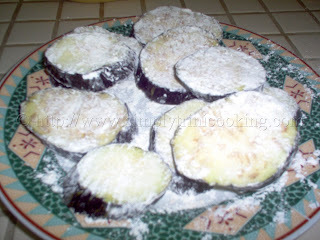 Allow it to rest for about 30 minutes then rinse the eggplant after sweating to remove most of the salt. This process tenderizes the eggplant and makes it less likely to absorb any oil use in cooking. Piercing the Baigan (eggplant) with a fork allows the steam to escape while it is baking or roasting. Wash the baigan first and then cut off the ends. Slice eggplant in ¼” slices. Pat the eggplant dry with a clean towel. Mix the flour, salt and black pepper in a flat tray. Coat the baigan with the seasoned flour. Set aside. 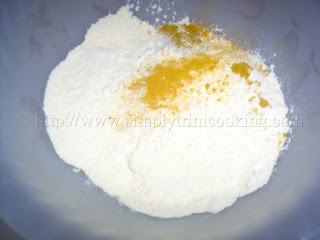 Mix split peas powder and all other ingredients (garlic, salt, curry, saffron, and baking powder). But water. 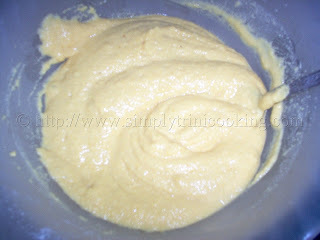 Add enouth water to make a thick batter. Taste for salt and black pepper. Heat oil in large heavy pot. 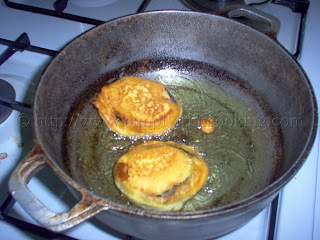 In order to test the batter, drop a teaspoonful and cook until slightly brown. Drain and break open. If too dry, add more water to mixture. 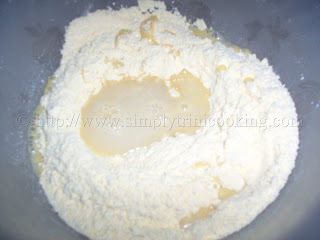 if batter is thin add more flour. Pat split peas batter on both sides of the baigan. 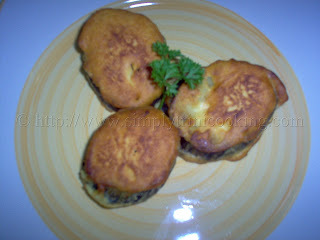 Fry in hot oil until cooked on both sides. Drain on kitchen paper. Serve cool. For the health conscious, like myself, I would like to leave you with some nutrition facts. Has anti-cancer, antimicrobial, anti-LDL (bad cholesterol) and antiviral properties. Well that’s it for another post, I hope you enjoyed this one as much as I do.